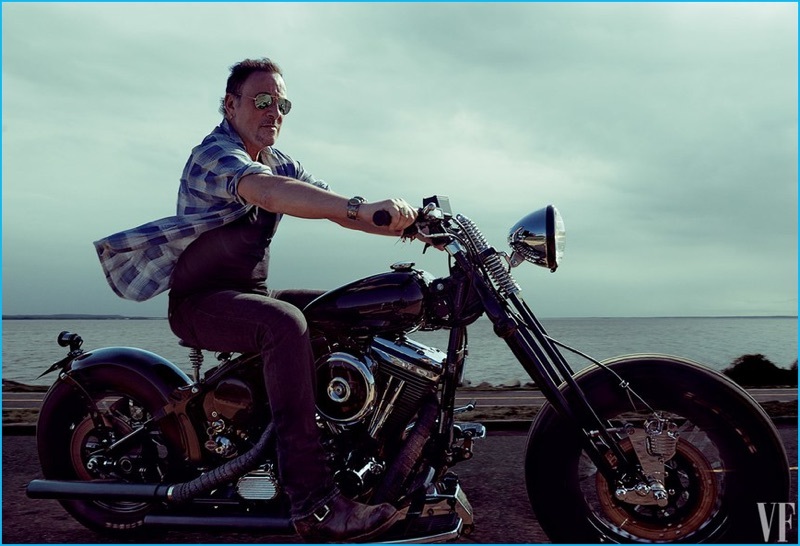 Bruce Springsteen poses on a motorcycle for the October 2016 cover of Vanity Fair. 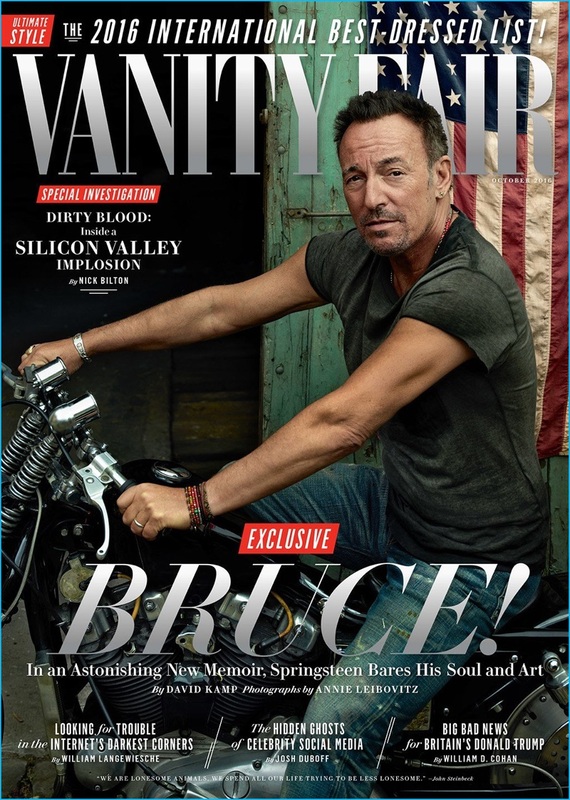 Bruce Springsteen is captured in his signature t-shirt and jeans for the October 2016 cover of Vanity Fair. 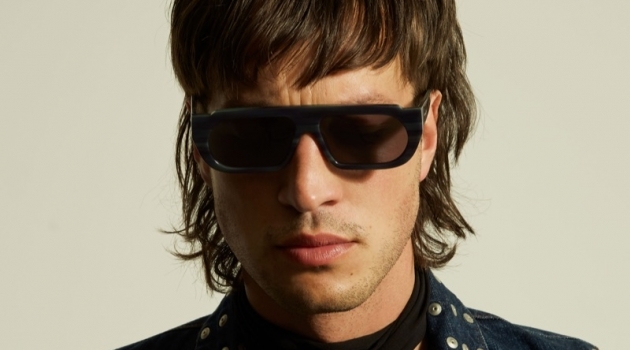 The music icon links up with photographer Annie Leibovitz for the photo shoot. Promoting his memoir, Born to Run, the Born in the U.S.A. singer connects with David Kamp for an interview. Discussing new music, Springsteen reveals that his next release is finished. The 66-year-old singer explains, "It's a solo record, more of a singer-songwriter kind of record." 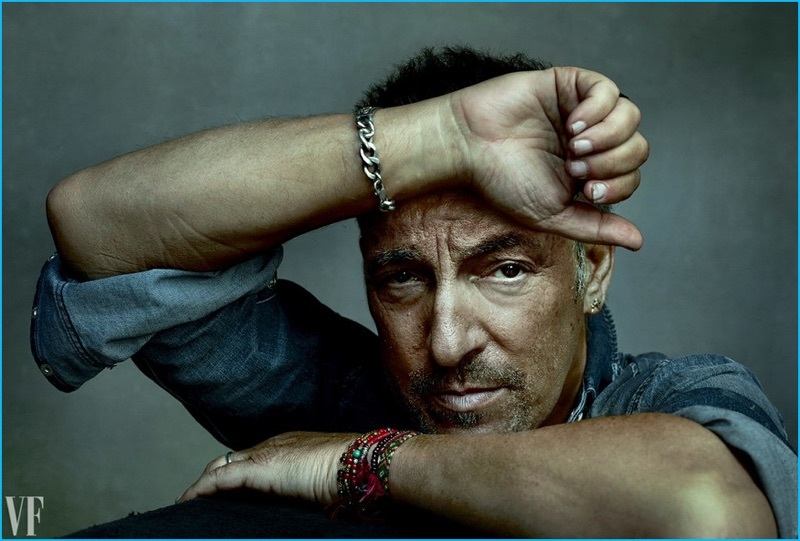 Inspired by the 1960s collaborations of songwriter Jimmy Webb and singer Glen Campbell, Springsteen describes his upcoming music as "pop records with a lot of strings and instrumentation. So the record is somewhat in that vein." 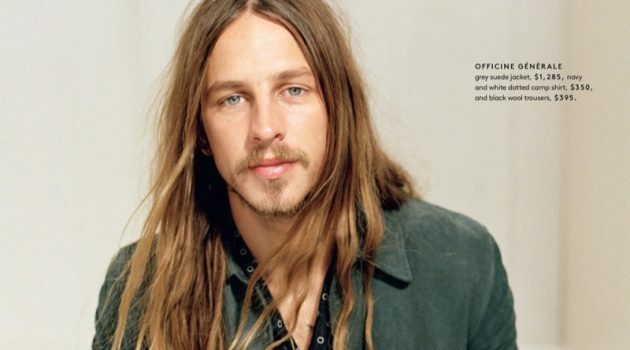 Read more on VanityFair.com. Bruce Springsteen poses for a portrait, lensed by photographer Annie Leibovitz for Vanity Fair. Bruce Springsteen takes to the open road on the back of a motorcycle for his Vanity Fair shoot. 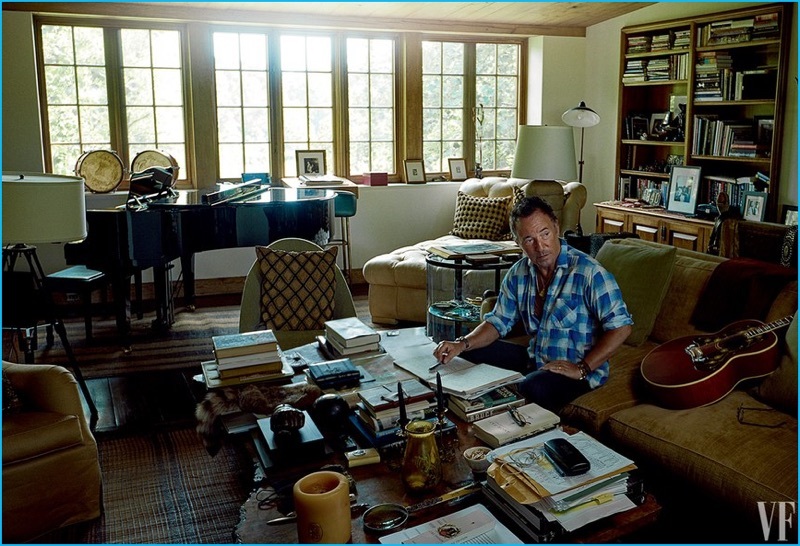 Bruce Springsteen captured at home for the pages of Vanity Fair.